Each time we browse the Internet or that we use an online service we leave a trail that can be used against us and we are exposed to the possibility of anyone finding out what movements we have performed while using the Internet. 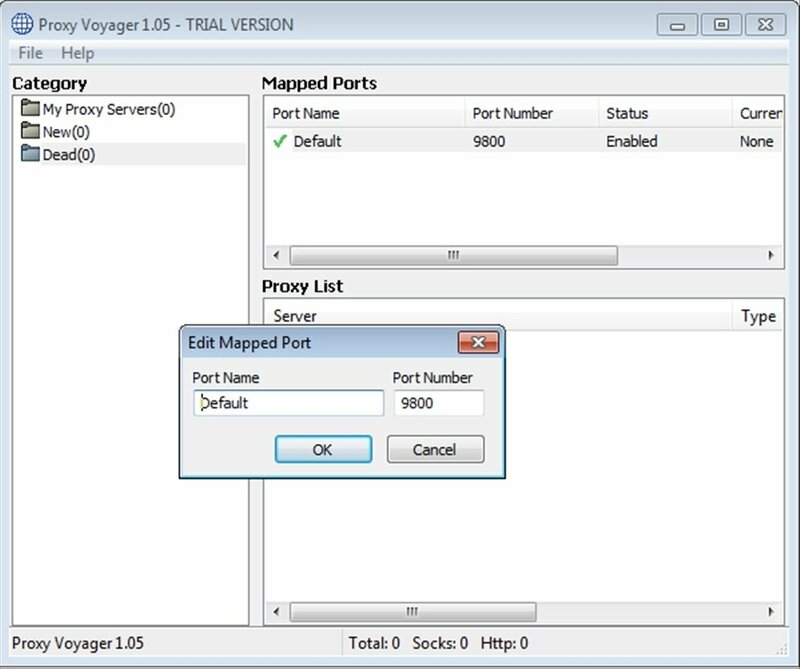 Proxy Voyager is an application that by means of a proxy avoids that other users can follow our tracks on the Internet and makes it very difficult to locate us geographically. Thanks to this application we'll be protected against traffic analyses (performed by big marketing and advertising companies) and we will avoid that our profile is created on the basis of the websites that we visit. The application, that's really easy to use, will allow us to choose between different proxy servers (that we can download directly from the application), saving hours of configuration. Moreover, we can use a different proxy for each application with support for them (browsers, P2P download managers, instant messaging clients,...) and create an unlimited number of mapped ports. Start browsing without having to worry about who's tracking you down thanks to Proxy Voyager. The trial version has certain limitations and can be used for 15 days.